UPDATE: Sony releases firmware fix for sound dropout on BDP-S370 Blu-ray player | What Hi-Fi? Sony's long-awaited firmware fix to resolve sound drop-out on its BDP-S370 Blu-ray player will be released later today, the company has confirmed. The M03.R.694 upgrade will be available on disc initially, so customers should contact the Sony Customer Support website to ask for a disc to be posted to them. Sony says it hopes to make the upgrade available via download to web-connected players in the near future. See this thread on our Forums for Sony's official response to this issue. 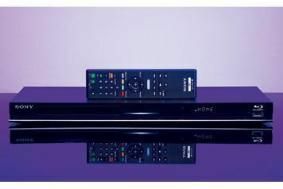 There's a thread running on our Forums about sound dropout on Sony's BDP-S370 Blu-ray player when connected to certain Sony TVs. We've contacted Sony which is aware of the problem. The company's technical guru, Eric Kingdon, has confirmed a firmware upgrade is on the way to fix the problem. It should be available next week, either as a download to web-connected players or in the form of a disc in the post for other users, and those with problems can contact Sony's customer service people, who are aware of the problem and the fix on the way. Sony says it will confirm to us when the new firmware is available, and will give us a version number at that time.